PT Dirgantara Petroindo Raya, a joint venture between UK energy major BP Plc and Indonesian oil logistic firm PT AKR Corporindo Tbk, has received a temporary permit to establish operations to sell jet fuel in Indonesia, according to Reuters. The move effectively ends the monopoly of Indonesia’s state-owned oil and gas company, PT Pertamina, in one of Southeast Asia’s fastest-growing aviation markets. Initially, the joint venture plans to start operations at an airport in Morowali, a mining centre in Central Sulawesi, according to Muhammad Rizwi, director of downstream oil and gas at Indonesia’s Energy Ministry. The company is preparing to build its storage facilities there and will receive its final permit once these are completed, he added. While the Morowali airport, which is new, is not a big airport with a single 1,850 metre runway, this is seen as an important breakthrough for the joint venture, which was established by BP’s Air BP, an international aviation fuel products and services supplier, and AKR, a leading logistics and supply chain company in Indonesia, on 15 November 2016. AKR has storage tanks and terminals in 15 major sea ports and river ports throughout Indonesia. AKR also owns a fleet of self-propelled oil barges, petroleum, and chemical trucks delivering petroleum and basic chemicals to more than 2,000 industrial companies across Indonesia. In 2005, AKR became the first private company to distribute non- subsidized fuel in Indonesia. AKR currently operates 135 AKR-branded petrol stations selling high-quality diesel fuel and gasoline to riders and fishermen in Java, Sumatra, Kalimantan and Sulawesi. Air BP and AKR see a huge potential within the Indonesian aviation fuel sector. The joint venture is intended to support the development of the aviation industry and contribute to the growth of the Indonesian economy by investing in infrastructure, applying the latest innovative technology and operational best practices for the supply of aviation fuel. 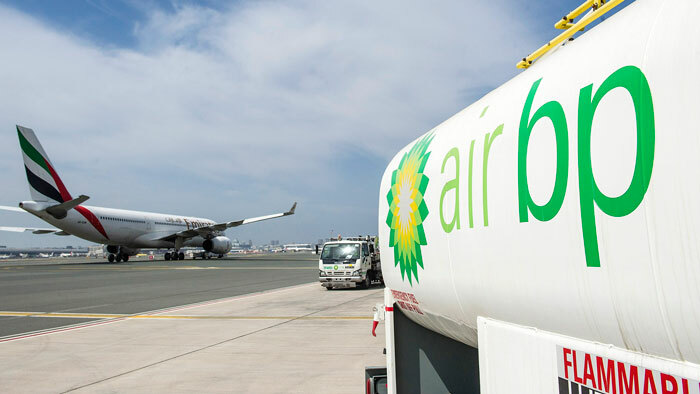 Air BP supplies 7 billion gallons of aviation fuel to more than 2 million aircraft annually, and supplies to more than 800 locations, representing more than 400 commercial airlines, in more than 50 countries. Air BP also leads and participates in more than 150 joint ventures across the globe from the Arctic to the Middle East. Indonesia’s Coordinating Minister overseeing maritime and natural resources, Luhut Pandjaitan, told reporters last week that he has given instructions to the energy ministry to accelerate the approvals for AKR’s jet fuel trading permits. Indonesia is expected to be among the top 10 largest air passenger markets in terms of traffic by around 2020 and will be a market of 270 million passengers by 2034, according to reports by the International Air Transport Association (IATA).